Lotus Cafe is dedicated to serving fresh, healthy, natural food at affordable prices, prepared with love, simplicity, and a joyful heart. Our ingredients are sourced with care and are always natural. My husband and I, the owners of Lotus Cafe and Juice Bar, have been long-time vegetarians (21+ years). We wanted to create a place where vegans, vegetarians, and my own family (who are not all vegetarians) could come and happily share a meal together. While Lotus Cafe is predominantly a vegetarian restaurant, we also offer many fish, chicken, and turkey options, with a fish special every night. There is also a turkey burger for our non-vegetarian patrons. We have a wide range of offerings: breakfast items include our delicious buckwheat pancakes (which are also vegan and gluten-free! ), soups, appetizers, a children’s menu, salads with organic lettuce, and entrees. Please click here to preview our menu. Vegan, strict vegetarian, vegetarian, and gluten-free choices are all clearly marked. Our juice bar squeezes fresh organic carrot juice, fresh organic veggie juice, fresh daily green juice and fresh organic wheatgrass shots. The juice bar also offers a wide selection of fruit smoothies (made with fruit juice and fruit only) and milk shakes that can be made vegan. We also have wonderful Acai and Pitaya Bowls. We bake our vegan cupcakes in-house fresh every morning, along with gluten-free cupcakes and brownies. Two homemade soups are made every morning: one is always vegan, one is always vegetarian, with usually one or both being gluten-free. Lotus Cafe is both casual and affordable; place your order at the counter, get your table number, and on the way to your table, collect your napkins, utensils, condiments, and help yourself to water at one of the condiment counters. Pick the table of your choice, and a food runner will bring your food out to you. We have ample seating both inside and outside, with a patio in back and seating that wraps around the side and front of the Cafe, if you prefer to be outdoors. The interior was designed with the intention to evoke healing and balance, radiant well-being, and happiness for all who come. Lotus Cafe is one-of-a-kind, and is locally owned and operated. We feel very blessed to be so whole-heartedly embraced and supported by our wonderful local Encinitas community, and we're also deeply appreciative of our loyal following of out-of-town visitors and regulars! Lotus Cafe opened its doors in September of 2009. My husband, Carl Wright, was the founder of the original Natural Cafe on State Street in Santa Barbara, California in 1993. The year prior, in 1992, Carl’s travels to India and Nepal whilst on a spiritual sojourn inspired him to develop the concept of a natural foods restaurant that would cater to vegetarians and those transitioning to vegetarianism. As a yoga practitioner and a vegetarian himself, he was intrigued by the health benefits and the positive impacts on the Earth and other living beings inherent in living a vegetarian lifestyle. He later opened two additional locations for the Natural Cafe in Santa Barbara and Goleta, which he sold in 2004. After a time of living in the mountains of Southern Oregon, we were drawn back to California by our love for the teachings of Paramahansa Yogananda (author of Autobiography of a Yogi), and the Self-Realization Fellowship Ashram here in Encinitas. 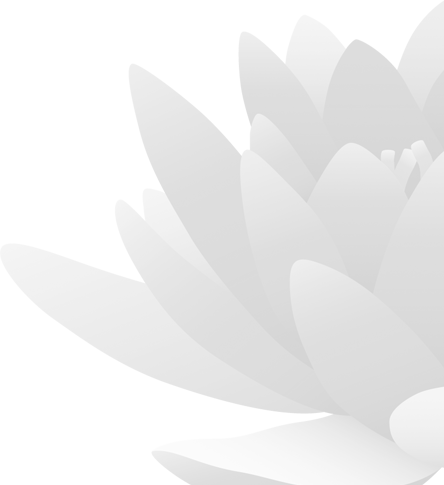 To open Lotus Cafe as a service to our community was a conclusion inspired through our meditations, 16 months after our re-location to Encinitas. 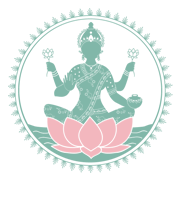 As we seek to live a balanced life, we are quite content with a single location for Lotus Cafe; Our hearts are here. We are closely involved in the operations of the cafe, and it is important to us that the quality of the food, the harmony of the staff, the happiness of the customers, and the energy of the cafe is of high vibration.